Microsoft will extend key GDPR rights to consumers worldwide. With GDPR set to go into effect on Friday, May 25th, Microsoft has revealed how it has prepared for the upcoming regulation as well as its plans to help its customers remain compliant. The company has strongly supported GDPR since it was first proposed in 2012 and it will be one of the few businesses participating in the official events in Brussels this Friday. Microsoft is committed to ensuring that its products and services comply with the new regulation and for that reason over 1,600 engineers from across the company have been working on GDPR projects. Since the enactment of the regulation in 2016, the company has made significant investments to redesign its tools, systems and processes to meet its requirements. Once GDPR goes into effect, Microsoft plans to continually evaluate its products, services and data uses as understanding of the regulation evolves. The company will also extend the rights central to GDPR to all of its consumer customers worldwide. 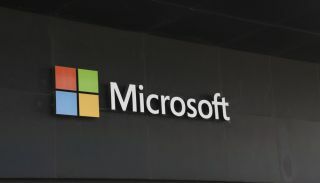 These rights, known as Data Subject Rights, will allow consumers to know what data Microsoft has collected on them as well as the ability to correct that data, delete it and even take it somewhere else. The company's privacy dashboard will give users all of the tools they need to take control of their data. Microsoft has also updated its privacy statement for its consumer services. The new privacy statement is clearer, more transparent and reflects its decision to extend key rights under GDPR to consumers worldwide. As GDPR goes into effect, Microsoft has committed itself to helping businesses become the trusted steward of their customers' data. The company's robust set of tools and services for the regulation will allow companies to do just that in a more efficient and less expensive way. You can learn more about Microsoft's GDPR vision on its website.